If a skydiver jumps out of a plane, when will they stop accelerating? Competing physical forces hold the answer. Terminal velocity is the maximum constant velocity. Terminal velocity increases with weight. Terminal velocity is reduced by friction. Falling objects are pulled to the ground by gravity. 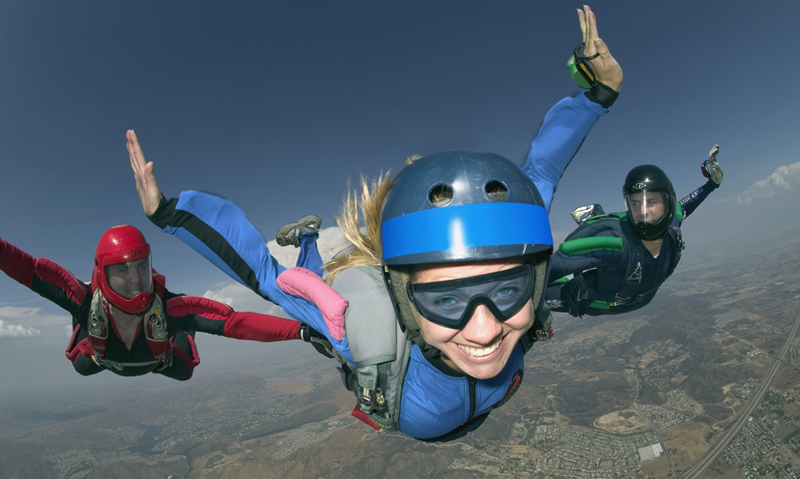 When skydivers jump out of planes, they experience the rush of free falling towards the ground at around 60m/s. Faster than the top speed of many cars. Luckily, they don't hit the ground at this speed – their parachutes reduce their terminal velocity to a safer level.